They punctuate our days, but we take them for granted: our barista, our car mechanic, our coworker. Yet these are the consequential strangers who bring novelty and new opportunities into our lives. 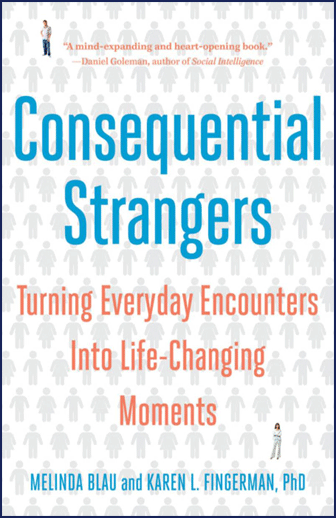 In an unprecedented examination of “people who don’t seem to matter,” psychologist Karen L. Fingerman, who coined the term, collaborates with journalist Melinda Blau to develop an idea sparked by Fingerman and others’ groundbreaking social science research. Drawing as well from Blau’s wide-ranging interviews, this book presents a rich portrait of our social landscape, chronicling the surprising impact consequential strangers have on business, creativity, health, and the strength of our communities. MELINDA BLAU, co-author of the best-selling Baby Whisperer series, writes extensively about relationships and trends. She lives in Northampton, Massachusetts. KAREN L FINGERMAN, PhD, the Berner Hanley Professor at Purdue University, lives in West Lafayette, Indiana.